You will find two Galleries. On contains all of the photos and one has the video created by Val Lewis that he showed at the reunion. Have you been receiving class emails from our website? If not, please contact us to let us know. We do get some email "bouncebacks," and we want to make sure you stay on our class email list so you can get the latest information and updates! Just click here to go to the Reunion Galleries. Are you looking forward to the 55th? We will continue to maintain this website for at least the next four years so we can all continue to keep in touch and update our profiles. On this site, you will find your fellow classmates' past and current information. 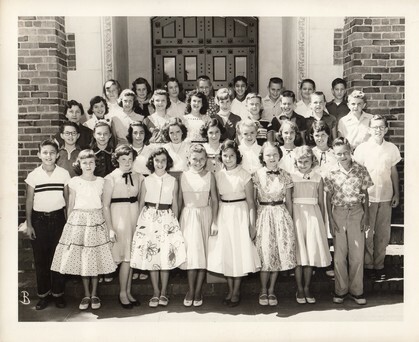 You will also be able to email classmates, post messages, get information on class reunions, add photos, plus many other features! This site is maintained by your fellow classmates on a hosted website. Access is limited to classmates only and requires verification before joining. Unlike most other sites - no information is ever shared or available to third parties! 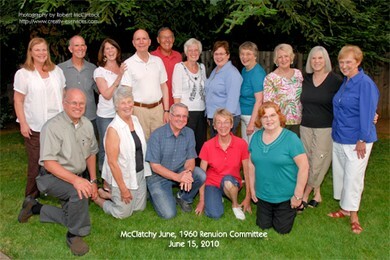 Only McClatchy Class of June 1960 are listed in the profiles. 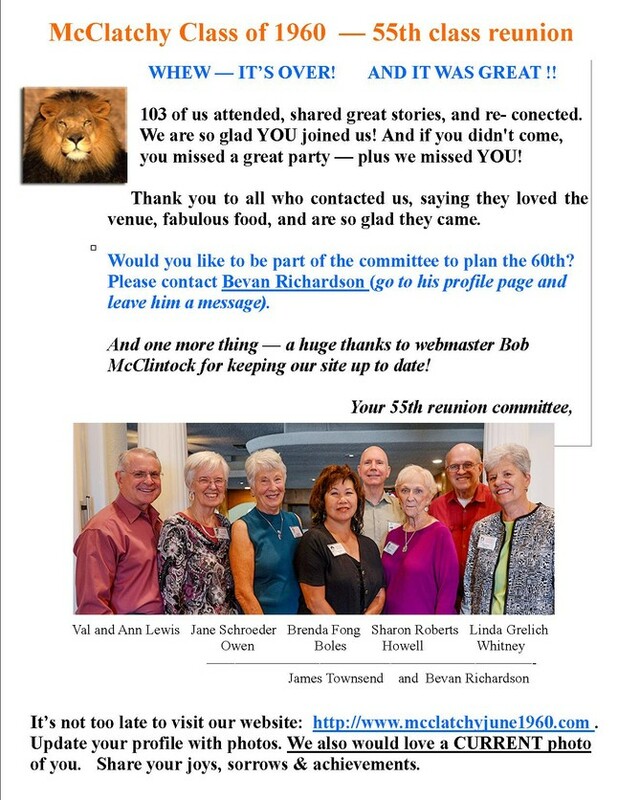 Reunion PhotoGallery link in the top left of the menu.